This section explains which assets should be deliverd for your whitelabeled Speakap iOS app. The launch screen is shown when booting the app and when using the app switcher. It should be delivered as a single image and can include your app’s logo and tagline. *Note: It’s possible to only supply us with the largest of the assets and let us do the resizing for the smaller versions. If this is the case, some clipping might occur as the dimensions of these devices differ. The login background is shown during the login and password reset actions. Since we need to dynamically position the logo and tagline on these screens, these should not be included in this background image. The logo will be shown on top of the login background and will be dynamically positioned for the separate stages of the login and password reset actions. The tagline will be shown on top of the login background and will be dynamically positioned for the separate stages of the login and password reset actions. 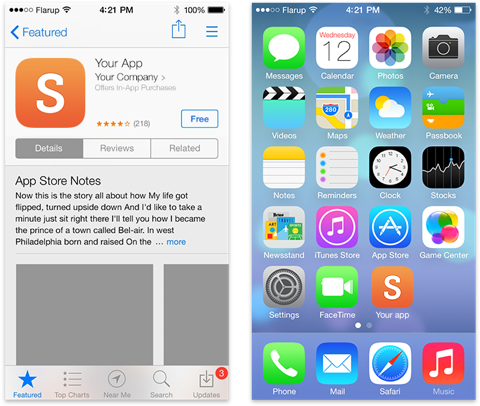 The app icons are displayed in the App Store, on the user’s home screen, settings screen and for push notifications in the notification center. Please don’t add the rounded edges to these icons as these will be added by the device and adding them yourself might result in weird artefacts. In order to place your whitelabel app in the App Store, you need to publish some screenshots of the app. Please make sure these screenshots are filled with representative content and are attractive to your target audience; your company’s employees. Are you active in less than 5 countries? 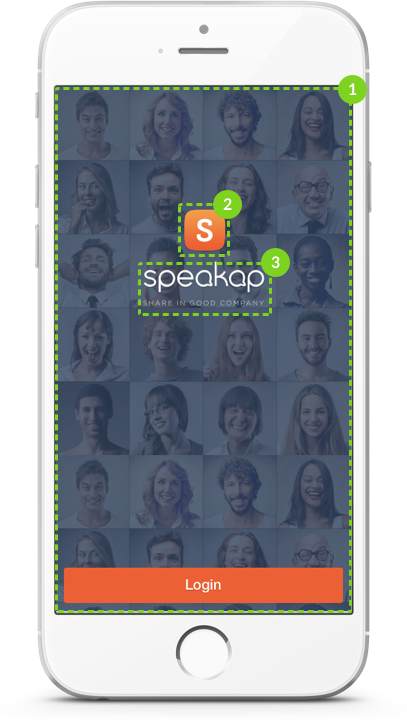 Speakap will publish your whitelabel Speakap app through Apple’s Volume Purchase Program. To be able to do this, you will need to create a Volume Purchase Program account and share this with us. A step by step guide on creating a VPP account can be found here. Are you active in more than 5 countries? 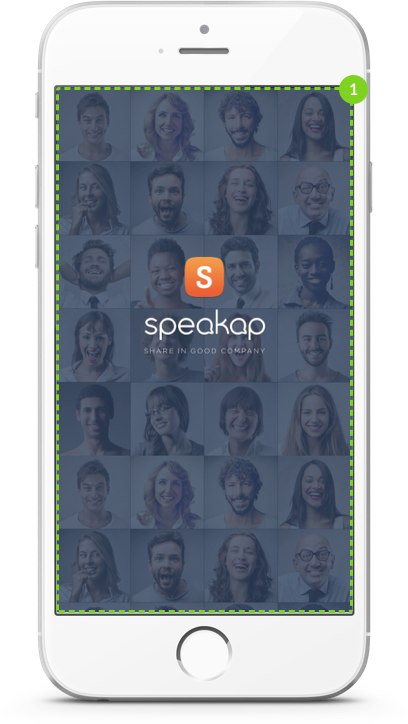 Speakap will publish your whitelabel Speakap app through Apple’s public App Store. To be able to do this, you will need to create an Apple Developer Account and invite Speakap to this account. A step by step guide on how to do this can be found here. Download these templates and the checklist to get a jump start on visualizing your whitelabel Speakap iOS and Android apps or visit our support portal.